Evan Mosey has been given the all-clear to make his Cardiff Devils this weekend. The former Nottingham Panthers player only joined on Thursday after defenceman Ben Blood’s shock move to Finland. But despite his sudden arrival all the paperwork has been done for Ice Hockey UK to give him the go-ahead to play. Mosey will make his debut at Milton Keynes on Saturday before making his home bow against the Belfast Giants on Sunday. The 29-year-old had been playing in Denmark after joining Herning Blue Fox in the summer, but will now line-up for the side who he scored the winner against in the 2016 Challenge Cup Final. 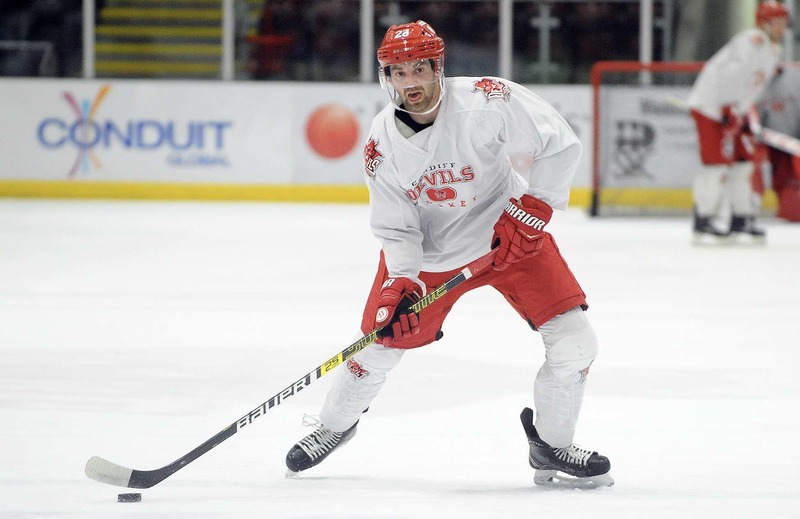 Mosey will be hoping to get the Devils back to winning ways after a run of three straight defeats.